Correct undiluted urine with a high nitrogen content, and sometimes with a high salt content. High nitrogen actually “burn” the plants it comes in contact with. Dilute it and it’s stronger than any chemical fertilizer. 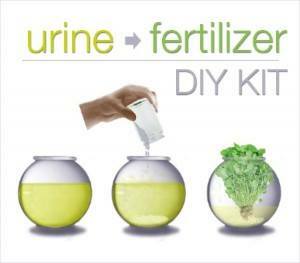 Healthy human urine is rich in nitrogen, potassium and phosphate, all of which are essential for healthy plants. If you look at the ingredients on a bag of fertilizer, you will see the word “urea”, which is present in the urine, as you may have guessed.